If you want a Motorola smartphone in 2014, you've got choices. Lots and lots and lots of choices. On Verizon, the new Droid Turbo looks like a sure bet, and it's available starting today. But don't rush out the door and drop (at least) $200 big ones just yet. 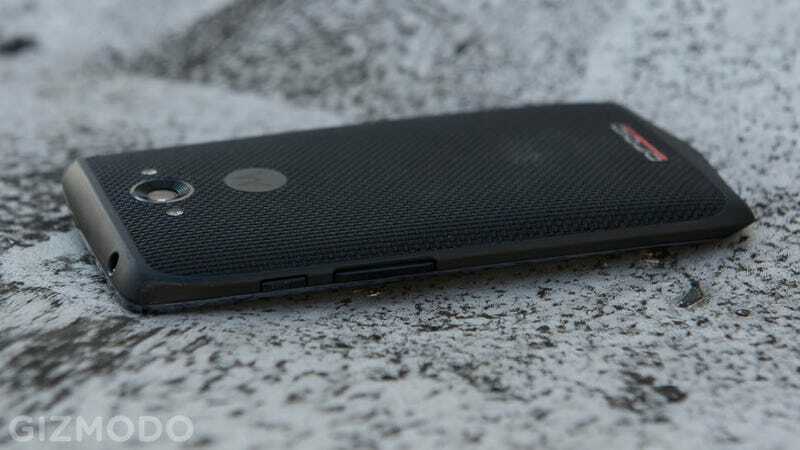 Yes, the new Droid Turbo has curb appeal. It has a massive battery, a 2K display and a blazing fast mobile processor, but it's also basically just a beefier Moto X that's locked to Verizon's network. The battery is the biggest difference. And in early tests, it looks like that battery may not deliver. Verizon wasted no time when launching into its new Droid flagship to talk about that top-selling feature: A battery that lasts for 48 hours. "You need a phone—and everyone needs a phone—that lasts, and with Droid Turbo you can go 48 hours without having to recharge," said Verizon's VP marketer Jeff Dietel jubilantly during the opening minutes of Verizon's presser. But no gadget reviewer has actually had time to verify that claim, because Motorola and Verizon only gave them two days to test the two-day battery life. No time to double-check. And in my short time with the Droid Turbo, two days seems like a stretch. After setting up my 64GB ballistic nylon reviewer's unit, downloading my usual apps and logging into way too many accounts, I slipped the Turbo on its charger and filled up to 100 percent overnight. In the morning, off the cord at 8 AM, I've used the smartphone quite a bit, but still well within the realm of normal use. I listened to Spotify on my commute, used Google Maps to find my way to a meeting, snapped some photos at said meeting, recorded about an hour of audio, and Google Maps'ed my way back to the office. Now all of that may seem like a lot, but I didn't stream any video or play any games. For the rest of the day, I checked a few messages, took a few more pictures, and pretty much just let Moto Display blink on and off in standby mode. By the time I left work, I was at 35 percent. After that, I listened to some more music, did some light web browsing, and traversed through a few Vines. My phone was dead by 11am the next day. So two-day battery? I'm not convinced. Battery tests from Tom's Guide also finds fault with Verizon's two-day promises saying the Turbo provides good battery life, but by no means the best in its class. It's still pretty good — we got just over one day with the Moto X — but our out-of-the-box impressions suggest Verizon may be overselling the Droid's actual endurance. We haven't had quite enough time to test the all of the Droid's features, so a full review is forthcoming. There are definitely things to love here—the ballistic nylon is actually really great—but it doesn't look like two day battery life will be one of them. And while Motorola often does a bang-up job with software updates, that's no reason to go off half-cocked.